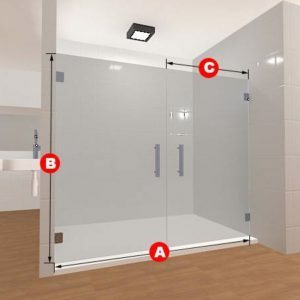 This gorgeous shower door set opens right to left, in and out, and is made up of two different panels of glass! 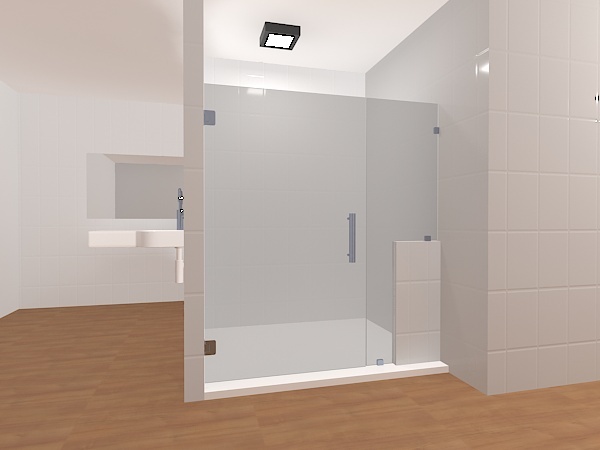 If you've ever wanted a different-style of shower door, look no further! 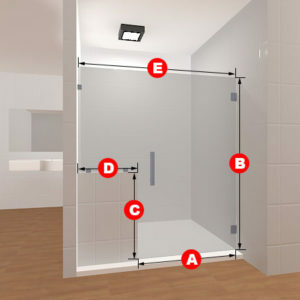 This design is best used for showers that have partial walls in the front for the glass to fit. 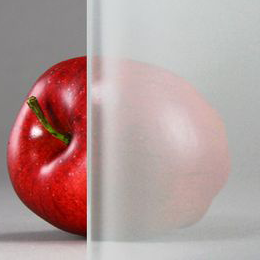 Comes in clear glass or frosted glass, and the dimensions can be changed to your liking. 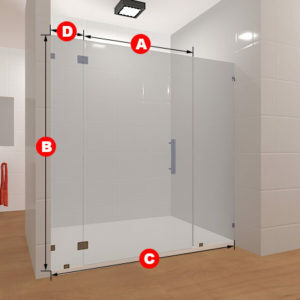 Included in this package are two glass panels, two glass to wall hinges, two glass to wall clamps, and one glass to floor clamp and a handle. This gorgeous shower door set opens right to left, in and out, and is made up of two different panels of glass! If you’ve ever wanted a different-style of shower door, look no further! 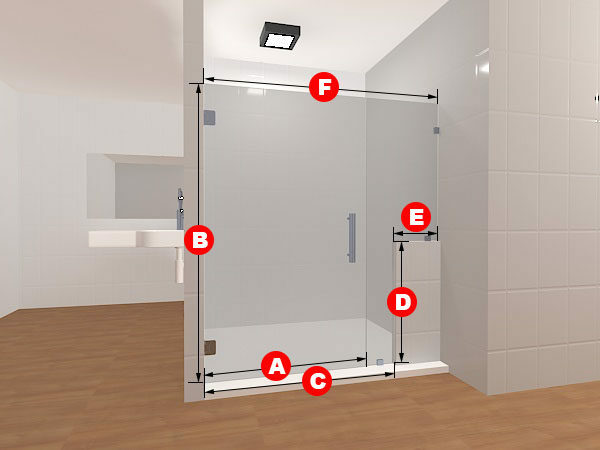 This design is best used for showers that have partial walls in the front for the glass to fit. 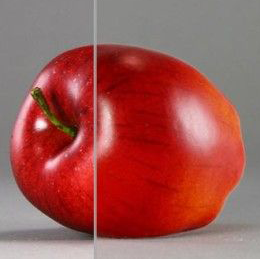 Comes in clear glass or frosted glass, and the dimensions can be changed to your liking.